Imphal Sep 15 (IANS) The Manipur government has increased the cash awards to sportspersons who bring laurels to the state from international events. Making this announcement on Saturday Manipur Chief Minister N. Biren said: "The state s sportspersons who bring gold medals from international sports events will be given Rs 15 lakh each as against Rs 8 lakh." "Such awards for bronze and silver medallists have also been increased " he added. He said the sportspersons who participated in the international events shall be given Rs 2 lakh each irrespective of the fact whether they win any medals or not. The Chief Minister and Sports Minister Letpao Haokip were on Saturday felicitating the state s sportspersons who had participated in the Commonwealth Games and Asian Games. Both Biren and Haokip expressed concern over the way the state s sportspersons have shown a declining trend in their performances recently. Biren claimed that over 90 per cent of the state s sportspersons who had represented India are given cash awards. Letpao Haokip said the government shall organise special training camps to expose the talents of the sportspersons of Manipur. 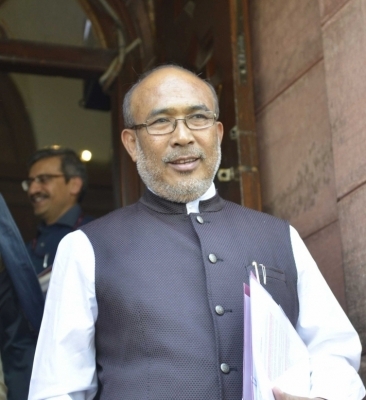 He reminded the people that Manipur is the power house of sports in the country and there is no reason why the sportspersons of the state should show a decline in their performances.